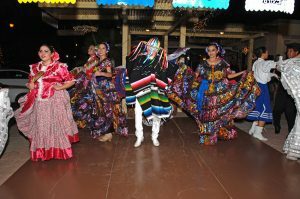 R to Z – Restaurants in San José Cabo, Los Cabos, B. C. S.
Mexican and international cuisine, a wide array of recreational activities and oxygen, theme and private parties, banquet facilities. Located directly above Don Sanchez Restaurant. 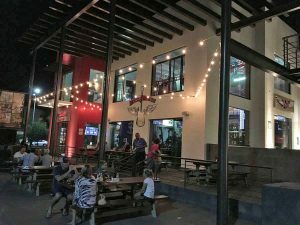 Revel in nostalgia at the grooviest burger joint in San José del Cabo.There’s a long list of burger choices, but you have to try the Lambourghini. It’s named for the seasoned ground lamb that is piled high with sun-dried tomatoes, pesto, feta, arugula, red onion, tomato marmalade and tzatziki and served with house-cut sea salt fries and a house-made pickle. 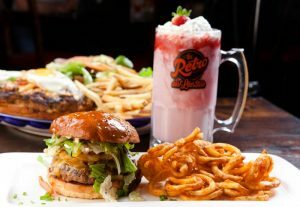 The menu proudly presents Rock & Brews’ non-traditional, creative spin on fresh, quality American comfort food, including wings, salads, burgers, sandwiches, and pizza. During March 2013, the brand celebrated its first international location with the opening of Rock & Brews Los Cabos. A favorite vacation spot of the founding partners. If you are in the mood for a great Italian experience we have set aside the Romanza Restaurant just for you. The Romanza Restaurant features pizzas, antipastos and sauces made like mama would make, using all the freshest ingredients and locally grown herbs. You will think the cuisine was hand delivered from Tuscany. Cuisine Mexican, Seafood, Contemporary, Vegetarian Friendly, Vegan Options, Gluten Free Options. Air-conditioned restaurant and sports bar. Indoor and outdoor dining. Great breakfasts, sandwiches, steaks, seafood, chicken and traditional Mexican food. Located on the highway in front of WorldMark Coral Baja, Sardina Cantina is a wonderful restaurant with friendly and attentive service and excellent food at a reasonable price. B, L, D, S – MC, VS. Seafood dishes, Mediterranean and Mexican cuisine under a big palapa roof facing the surf break of Acapulquito Beach, also know by some surfers as Old Man’s Beach. Cabo Surf Hotel, Acapulquito Beach, Km. 28 Transp. Hwy. Ph: 142-5707, 142-2666. www.loscabosguide.com/sevenseasrestaurant Daily 7am-9pm. B, L, D, S – AX, MC, VC. The Sirocco winds carry warmth, storms, mood and color changes. Enjoy the New Bar on San Jose del Cabo. 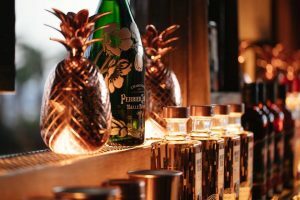 Restaurant young, creative and full of “mania”, which have been created to delight the most exotic and demanding palates.! Mexican dishes and seafood specialties. Relax in air-conditioned comfort with live tropical and Mexican music. Good prices, great food and friendly service. Tropicana Inn & Restaurant has been providing comfortable, convenient accommodations and fine food and drink since 1985. D – AX, VS, MC. Bistro. Mexican Cuisine. Catering. Event Design. We take pride and pleasure in offering the best alternative in dining and service whether it is at home, in our beautiful patio setting or wherever you may desire. Located at the new designer buiding ” Plaza Paulina”.